Yay! My second Vox Box! 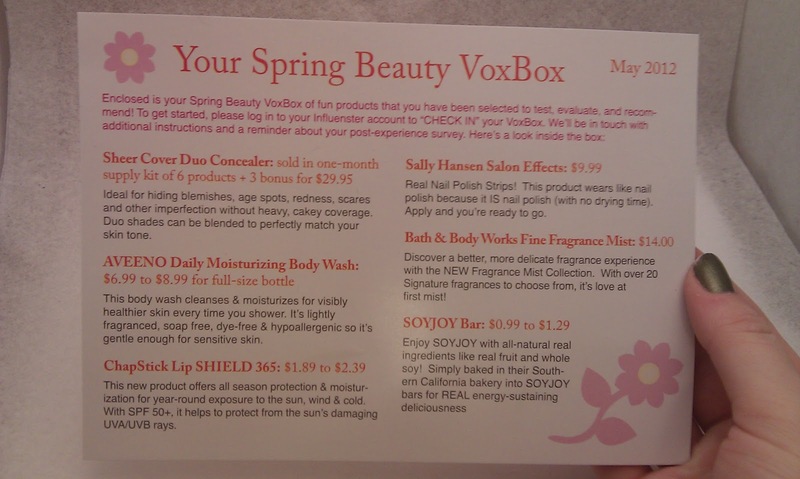 I was so excited when I got an email about a month ago saying I had been selected for the May Box! I wanted to give a sneak peak of the items I recieved in my box! Lets take a look at some of the goodies in the May box shall we? A shot of all of the products in the box right after I opened! 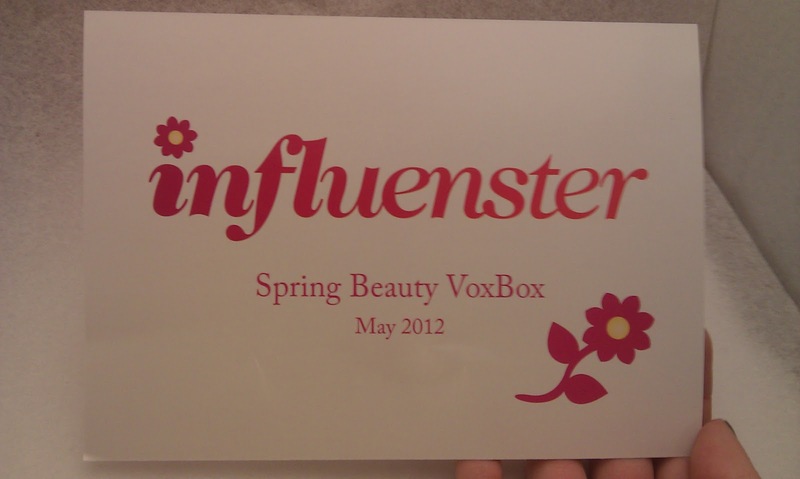 In every box Influenster sends a card that describes each product in the box. 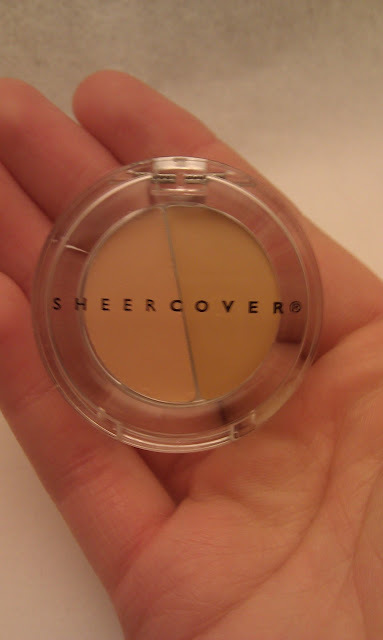 The first product is a concealer by SheerCOVER. I got the shade Light/Medium. I am not very educated when it comes to makeup but I am excited to use this. Two shades in one product excites me because it will be easy to blend to match my skin tone. Next is a trial/travel size of Aveeno Active Naturals Daily Moisturizing Body Wash with Nourishing Oatmeal. 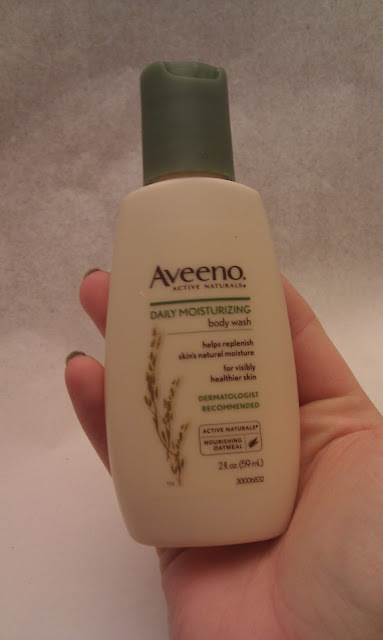 I am a HUGE Fan of Aveeno so I am going to start using this right away! The scent is very clean and fresh but delicate. Next up is Chapstick LipSHIELD 365. 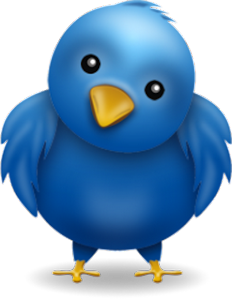 I think I am most excited for this product! 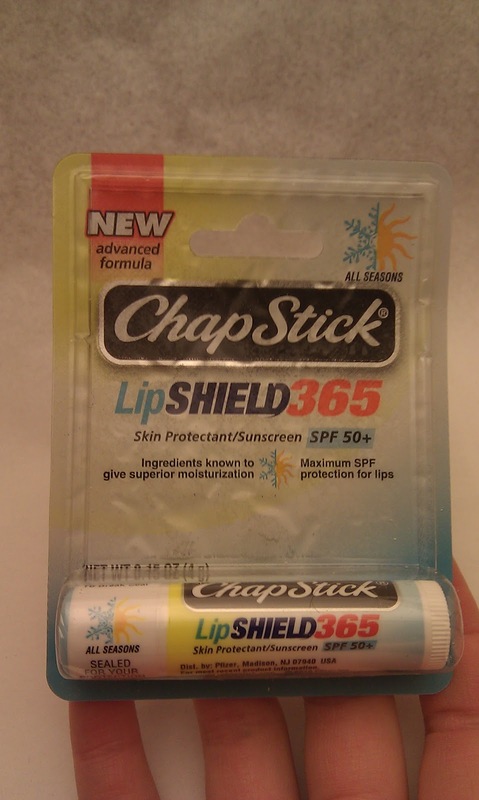 I use chapstick everyday as it is, so I am stoked to see what this new product has to offer. 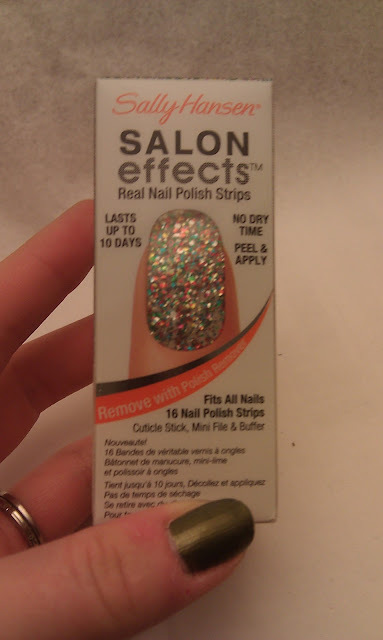 Ahh, Salon Effects! 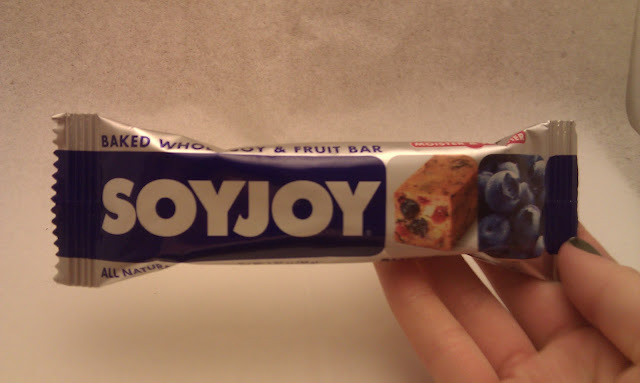 I have seen these around for months now and have yet to try them! I am excited to see how these wear with my job. 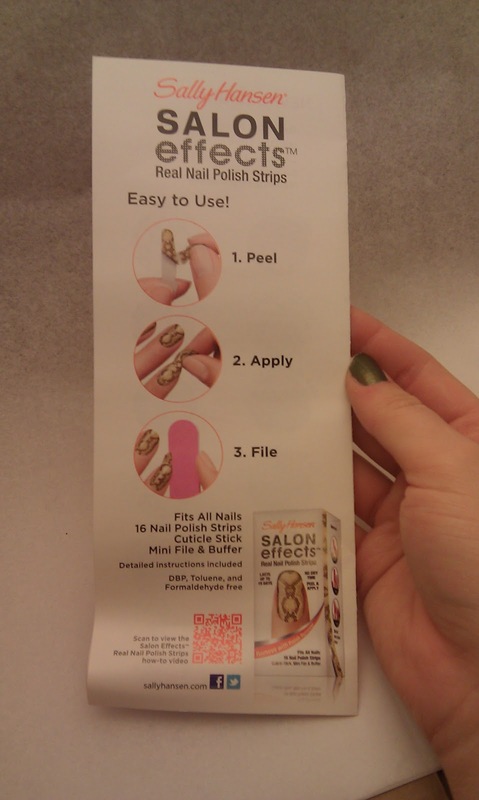 Along with the Salon Effects came a pamphlet advertising the real nail polish strip designs they offer. 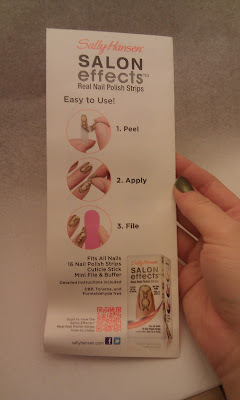 On the back side is a quick 3 step tutorial on how to apply them. 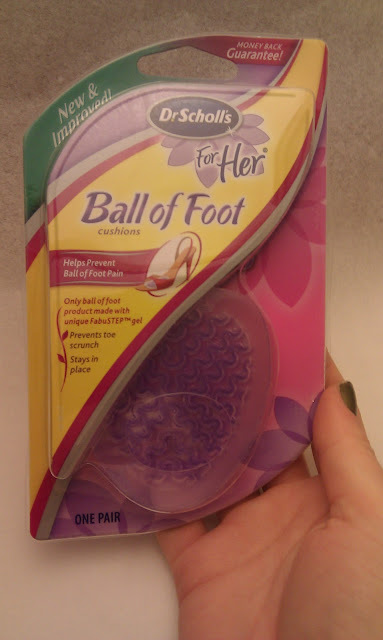 This product took me by surprise when I grabbed it from the box! 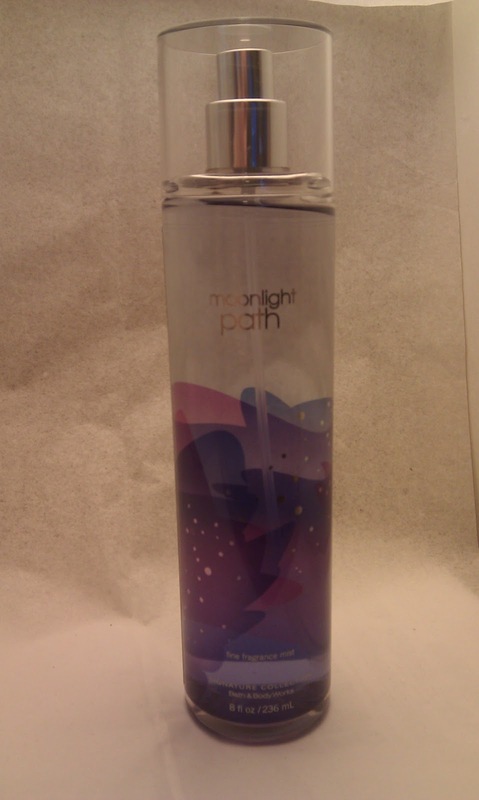 It is Bath and Body Works FULL SIZE body spray in the scent Moonlight Path. 8 fl. oz. 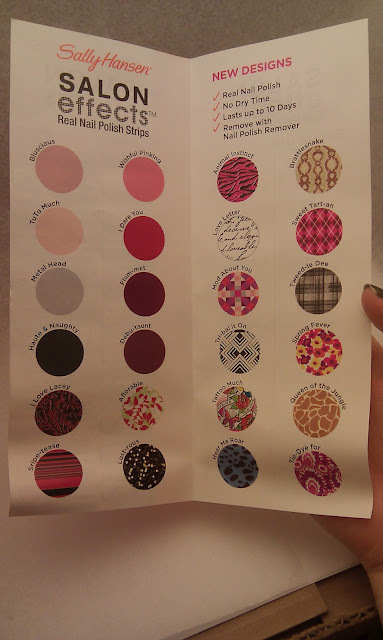 I am SO excited for all of these products and I hope you are too! These products were I will be reviewing these products over the next few weeks so stay tuned! These Products were sent to me by Influenster for my honest review. 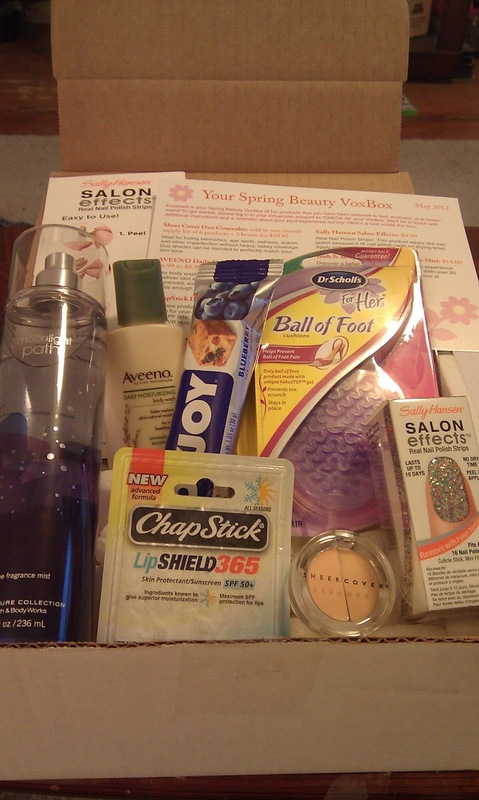 pretty interesting box - good mix of stuff! Yes! I can't wait to try!